• 12:00: Arrive Halong Bay. Welcome aboard The Paloma. Meet the captain and crew and join us for a welcome cocktail as we tell you about life onboard. • Check into your cabin. Time to refresh and unwind. • Set sail as lunch is prepared by our chef. • Join us for a relaxing lunch in the restaurant or on the outdoor dining area. Enjoy the stunning views of the Bay, its dramatic limestone islands as we sail through the calm waters. • While we make our way to Bai Tu Long Bay, relax on the sundeck and watch the world go by or take an afternoon nap in your cabin. • Our guide will give you some information and interesting facts about this fascinating village and its local community. 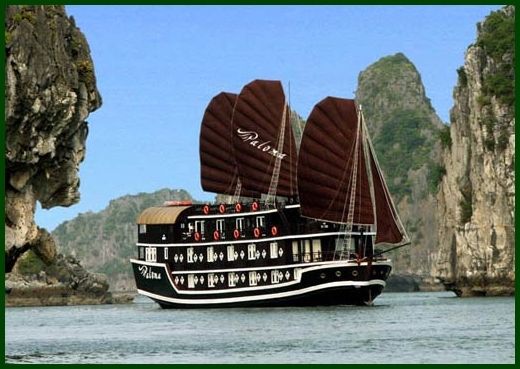 • Disembark and travel on the sampans rowed by the local people. They will be your guides through their fishing village where you can meet the locals, visit the school and pearl farms. See at first-hand what life is like living on the water. • We are proud of our working partnership with, and support of, this community. 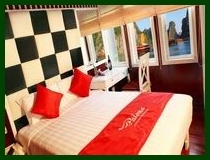 • Back on board The Paloma we head towards Halong Bay. • Opportunity to go swimming in the clear warm waters or go kayaking. Kayaking is suitable for all levels and ages. Our expert will run through the safety procedures and after a basic paddling lesson our experienced guide will lead you to explore the Bay, its lagoons and beaches. • For those who prefer a relaxing afternoon, make the most of sunbathing on deck or pamper yourself with a massage and sauna in our luxurious spa. • Early evening Back on board, enjoy the sunset with evening cocktails and fresh fruit. • Take an opportunity to refresh and then join friends for a pre-dinner drink in the bar. • Dinner is served in the restaurant or outdoor dining area, which is a gastronomic delight. After dinner, unwind in the bar where there is a selection of books, magazines and board games or relax in the spa; watch a movie on our plasma TV; join some of our team to go cuttle fishing at night or take a late night swim under the stars. • Accommodation and overnight on junk. • For the early risers join us for a Tai Chi session on the sun deck. Tai chi helps focus the mind and condition the body and there is no better environment to practice this than amongst the limestone peaks and islands. • Take an opportunity to view the sunrise over the bay or have an early morning swim. • Breakfast, coffee or tea is served. • Our guide will take you on a kayaking tour of the waters. There is no better way to discover the lagoons, the coral reef, beaches and limestone peaks. • Our local guide will take you on a tour of the local community, Van Gia fishing village and lagoons. • 16:00 Back on board The Paloma, take time to refresh and relax. • Enjoy the sunset with evening cocktails and fresh fruit. 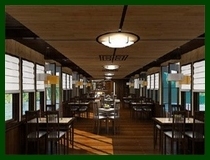 • Dinner is served in the restaurant or outdoor dining area. • After dinner, unwind in the bar where there is a selection of books, magazines and board games or relax in the spa; watch a movie on our plasma TV; join some of our team to go night fishing or take a late night swim under the stars. • Breakfast, coffee and tea and served. • After breakfast we sail through the waters and pass by a number of caves including Trong (Drum) cave, Trinh Nu (Virgin) cave, Coc Ngoi (Toad) cave and we drop anchor at Surprise (Sung Sot) Cave. 10:00: Back on board. Take time to refresh and relax before checking out. Bags can be left in the luggage store. • Return to the shore and disembark from The Paloma as our crew say farewell. 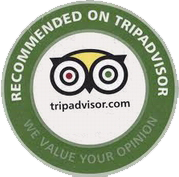 • Transfer to minibus or private car and return to Hanoi.